Welcome to Collar ID. 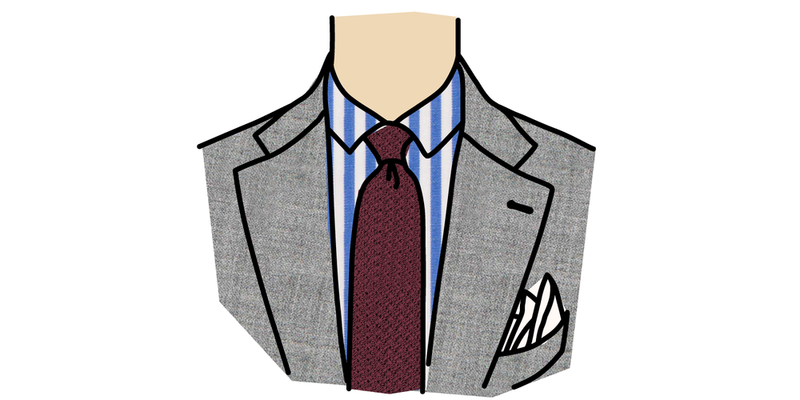 This week we’re going to visit the history and the style of the cutaway collar. The cutaway collar is a scene-stealer. You can think of it as the more dramatic cousin of the spread collar: its points are spread out even further from the neck, creating a large, inverse “v” below. That gives your tie even more space to shine, making a cutaway the perfect way to showcase a favorite tie with a thick knot. The effect also helps offset long, narrow faces. Ultimately, it’s the most formal of collar styles. Whether you’re hoping to stand out of the crowd in a boardroom or catch an eye at a wedding reception, the cutaway collar is at your service.